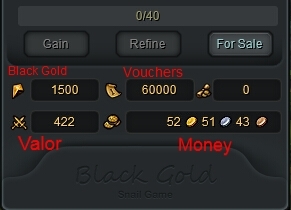 The following guide has been created to help players better understand the different forms of currency, both monetary and points, that exist in Black Gold Online. The road to riches is a perilous one, but for those brave enough to challenge the great unknown, treasure and wealth await. The land of Montel features a number of different currencies, each playing a distinct role and acquired through particular methods. Collect all the types of treasure and power on the way to glory. Some of the different currencies you can get. Minted by the finest treasuries in Montel, players can acquire money by selling off their equipment, or picking it up from killing NPCs around the land. Money is divided up into Copper, Silver, and Gold coins. 100 Copper equals 1 silver, and 100 Silver equals 1 Gold. 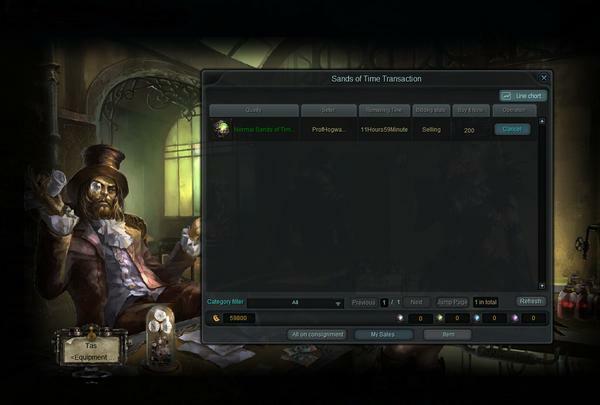 Players can use money to purchase items such as equipment, weapons, and potions from their respective merchants. They can also visit any merchant to repair their damaged equipment for a small fee. Some may say that it does not pay to be brave, but in Montel it most certainly does. Players can acquire Valor points for completing certain acts of heroism, in particular fighting off open world Outbreak events. An Outbreak will grant a certain amount of Valor for its completion on the individual and divided among the group, depending on the objectives completed. When it comes time to ride up, you don’t want to run on an empty tank. 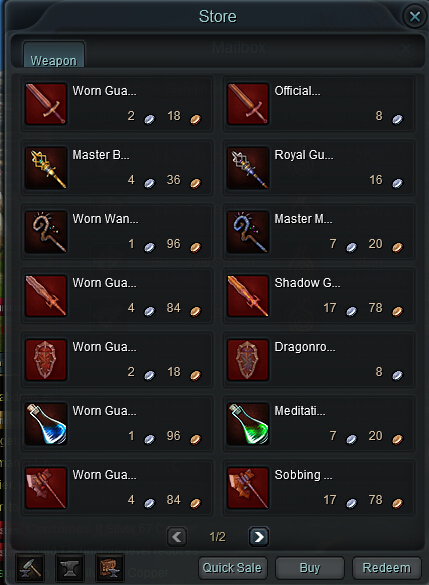 As players develop their Personal Carriers, they will need to keep a supply of Carrier Points to keep their Carriers going. 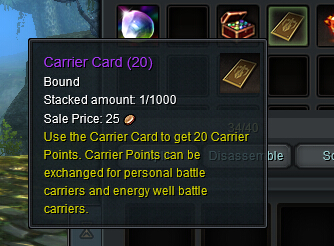 Carrier points are used to repair, refuel and upgrade your Personal Carrier. 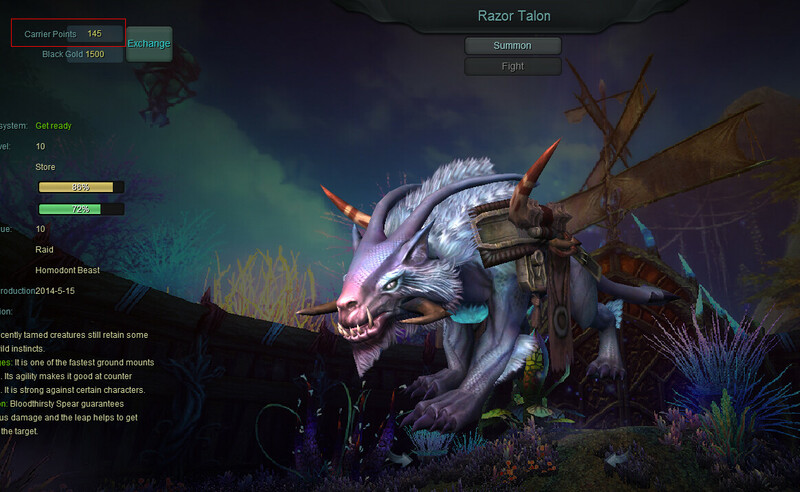 They are also spent in order to utilize your faction’s Battle Carriers in the Military Battlefield. Carrier points can be acquired by completing certain quests, daily rewards, and as your “Official’s Salary” from your Military Rank. Black Gold is the rarest and most valuable substance in all of Montel. Empires have risen and fallen for it, and the war for control of the Black Gold reservoirs rages on. 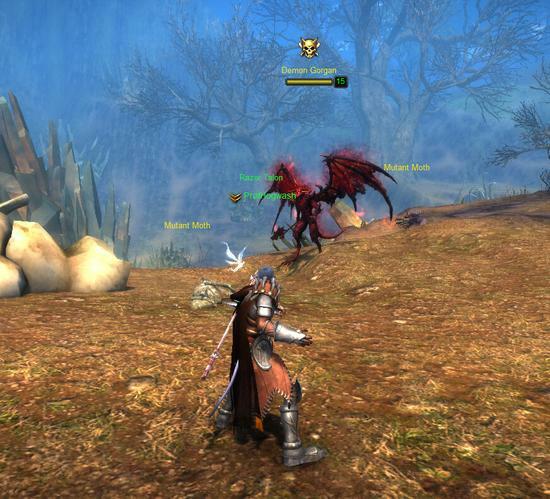 Players will need to acquire what Black Gold they can in the struggle to survive. Black Gold can be used for a number of special features. Among them, it can be used to open more bag and garage space, and to upgrade high level Personal Carriers. 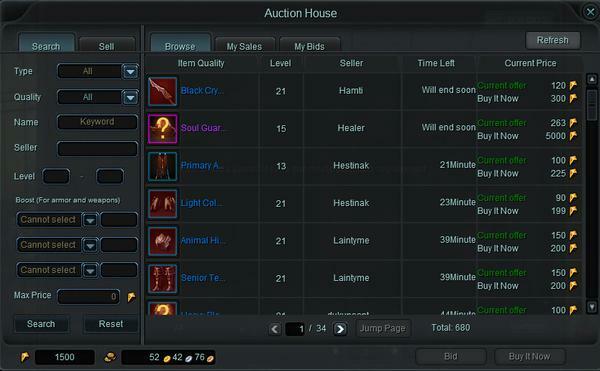 It can also be spent to purchase items in the Montel Auction House. 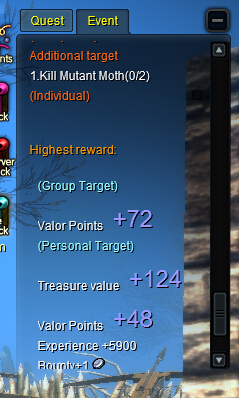 Black Gold is acquired through certain quests and rewards, and also through cracking open unbound Time Vials. 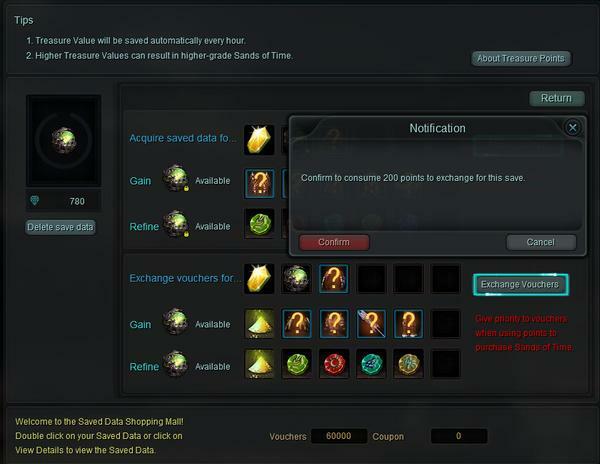 Vouchers are a currency that players can utilize to purchase Time Vials. 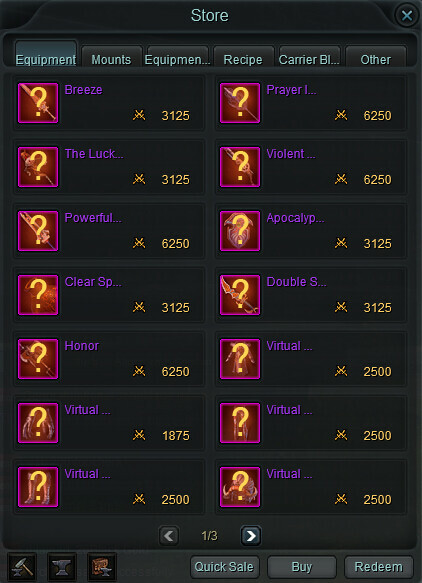 It can be used to purchase Time Vials acquired by the player themselves, or purchasing a Time Vial on the Time Vial Auction House. Vouchers are acquired by real world currency on the Snail website.